Over the years we've enjoyed writing about some very interesting and important topics for a variety of great North American enterprises. We think you may find some of these papers very informative and interesting. Enjoy! Proliferation of billions of low-cost mobile devices and sensors is fueling exponential global data growth and related access issues, which pose real management problems for businesses today. It's tough to keep up and wisely position for future data-related needs, and traditional NAS simply isn't going to meet business' demands. Preparing for the coming data tsunami requires new, robust solutions. Fortunately, IBM's emerging data-management and storage technologies offer real opportunities. This white paper serves as a blueprint for a comprehensive, effective national energy policy and crystalizes the desperate need to address our country's energy requirements. Economic recovery and stability are extremely important, but the most compelling driver for a comprehensive national energy policy, as outlined in this white paper, is national security. Over the decades governments have attempted, for the most part in good faith, to craft policy and related laws that help the nation meet its energy needs. At least this was the declared intention. These policies have invariably failed. Why? A number of reasons come to mind. This paper identifies and explains some of policies that haven�t worked, why they haven�t worked, and why these policy failures should be avoided in any national energy policy whose purpose is to improve the nation�s energy future. 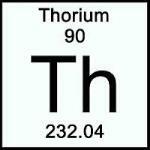 Energy from Thorium—an Attainable �Solution�! — An initiative to balance and ensure U.S. energy security. America�s prosperity, security and economic future activity require a sober and honest recognition of all energy options. Any country�s standard of living is dependent upon its access to reliable cost-effective energy. Let�s examine a colossal energy breakthrough that�s cheap, abundant, nonpolluting, and noncarbon. Americans need to realize that we actually have an �energy silver bullet� here that is being left for dead. Thorium is an energy resource most people have never heard of. Yet, embracing and developing Thorium means a �new world� of unprecedented progress and prosperity through abundant, affordable energy. This energy source is nothing short of revolutionary. Most of us believe that America�s economic future is about �new jobs,� which is understandable since the media and politicians endlessly parrot �job creation� as the big answer to our economic woes. But job creation is only part of the solution to the nation�s economic problems. Creating jobs can be good, but its effect is limited. It does little more than address a symptom (joblessness) of a broader underlying economic problem � the lack of growth. On the other hand, creating wealth is fundamental � its positive effect is far reaching. —Communication elements that render an institution "well prepared" to manage events during a disaster. This paper focuses on emergency communication to large groups in communities with college or institutional campuses; its objective is to help those in emergency management �manage to outcomes� by strengthening performance in emergencies. The ideas and conclusions presented here are drawn from the March 2012 Em2 Roundtable Conference on the topic. —Specific Actions to Reduce Fire Risks and Liability. Wisely managing campus-related fire risks is essential to managing litigation risks. Reducing the number of fires in and about college campuses is a manageable challenge, albeit one requiring focused effort by university administrators. By being proactive and organized colleges and universities can save lives, save money, reduce risks, and reduce liability. —Government Control is not a Solution, but a Path to Catastrophe. Until Obamacare, we had more individual control over our own health care than anywhere else in the world, but now that quaint notion is slipping away. Keeping individuals in charge and permitting them to freely pursue value is the best way to reduce costs (the only other way to reduce costs is government rationing—coming soon). Only free markets ensure reasonable access to resources according to individual priorities. The free market works very well, and this white paper explains how preserving and expanding these aspects of our medical system, not extinguishing or stifling them, are the nongovernment solutions to our healthcare problems. 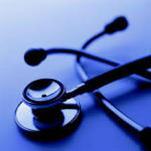 —Rising Costs and Other Ugly Consequences of �Nationalizing� Health Care. Like anything else, the extent to which the government has already become involved, or interfered with market competition, or limited insurance choices, are themselves a primary cause of cost increases. In the last 40 years the per-patient cost of government-run medical care has risen far more than the cost of privately-purchased medical care. 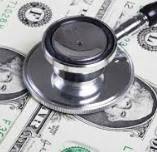 All of the new taxes and mandates and bureaucracies required under Democrat health care plans combine to make it certain that medical care costs will skyrocket. Cost control will only occur when government is no longer the market obstructionist. Venture Capital is sought by many small and growing businesses, but only a very small percentage of those seeking venture capital are funded. For most it seems beyond reach. This article presents an overview of the VC funding process and is intended to help those unfamiliar with the process understand what�s involved, who the process serves, and how to prepare for, approach, and manage it. 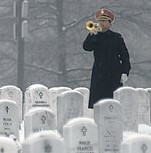 —The profound value cemeteries deliver to their communities. This paper highlights and explores the valuable economic role and impact of cemeteries on the nation and the local community. Cemeteries aren�t generally perceived as glorious gardens of flora, fauna and architecture, or as serene places of beauty that inspire quiet contemplation ... or economic engines. Yet, that�s what they are. —Fibrous Filters Dramatically Reduce Grease Accumulation and Attendant Risks. Rapid grease build-up is a hallmark of commercial kitchen hood and exhaust systems. Until very recently it�s been all but unavoidable, and even today remains a serious management and safety problem. Industry innovators have finally tackled the problem and now provide a safe, reliable, simple solution for the marketplace that substantially reduces the grease load, improves hood-system maintenance, prevents fires, and helps manage fire risks while lowering costs � a solution that retrofits very easily within existing kitchen systems.